Modbargains will provide you with GREAT PRICES, FAST SHIPPING, and INCREDIBLE SERVICE for your Bilstein B16 PSS10 Coilovers for the GT86, FRS, and BRZ! A set of Bilstein B16 PSS10 coilovers for the FRS/BRZ are the perfect way to lower your car while enhancing handling and looks. 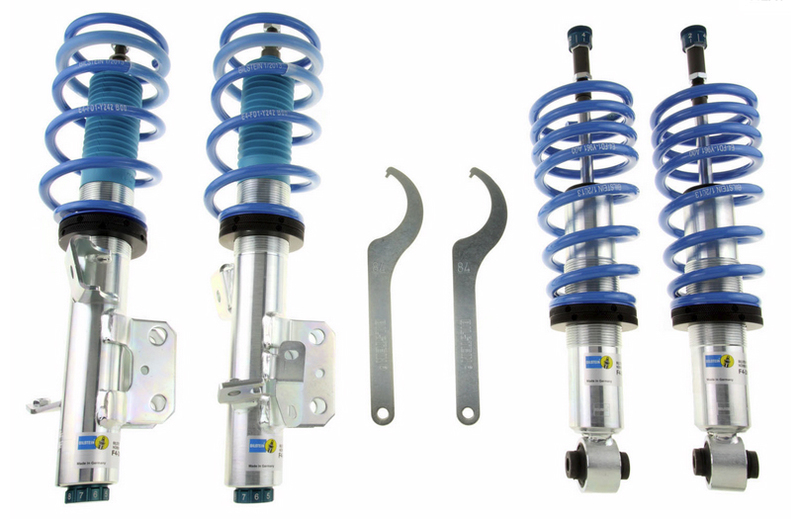 Bilstein B16 PSS10 Coilovers for the FRS/BRZ have been developed with proper design focused on providing the correct valving and spring rates to ensure optimal performance, longevity and ultimate adjustability. Featuring 10 adjustable compression settings, you can set the Bilstein B16 to provide a great ride during the work-commute week while dealing with speed bumps, pot-holes and uneven pavement. That's great for daily driving, but what about the weekend? Simply adjust the knob on each coilover to instantly transform your suspension to firm and confidence inspiring handling, ready for precise canyon carving or track days. 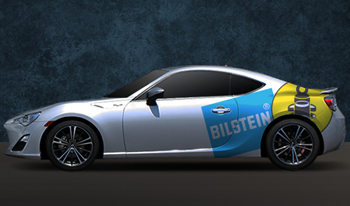 Representing quality, every set of Bilstein Coilovers for the FRS/BRZ include a TÜV certificate-Proving that Bilstein products have passed rigorous tests and met specific safety guidelines. Most importantly, the B16 PSS10 coilovers feature a Lifetime warranty-ensuring that you will have consistent performance throughout the life of your car. Questions about the Bilstein B16 PSS10 Coilovers for the BRZ/FRS/GT86? Our Modification Experts are standing by and available to help you, online or by calling 714-582-3330. ModBargains also offers expert installation and can install this upgrade for you. Call today!